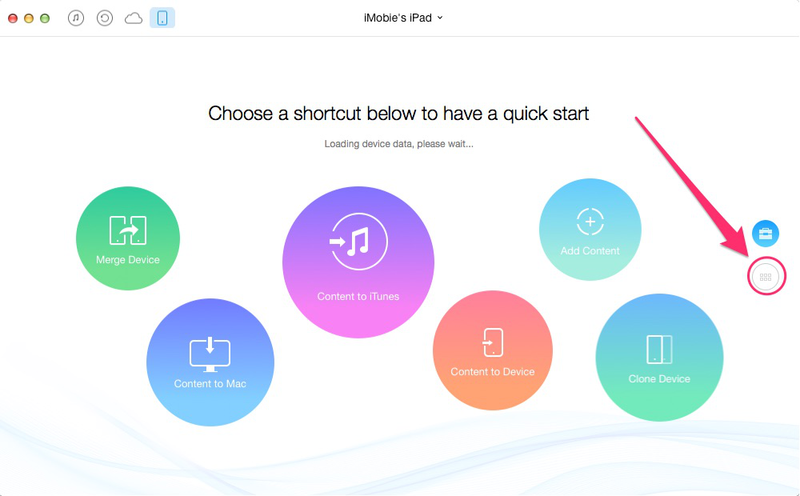 How to Add Books to iPad in 3-Step – iMobie Inc.
How to put books on my iPad without iTunes sync? Here is a quick and direct way to finish it. 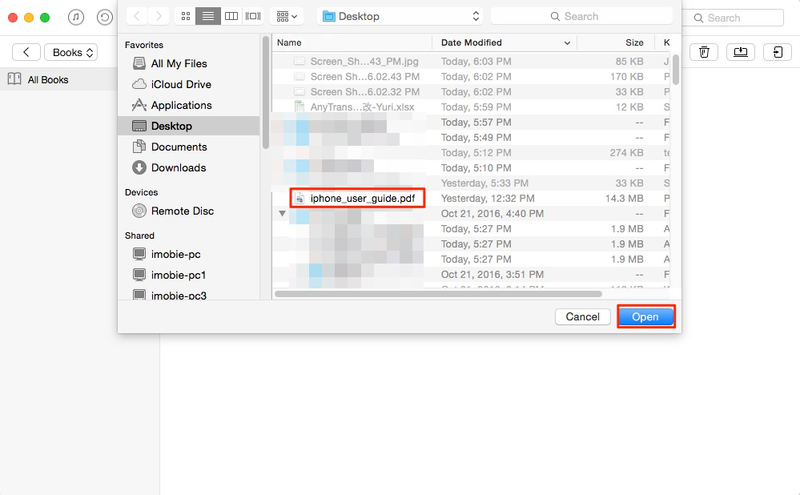 Have a try on this amazing iOS files manager AnyTrans by installing it on computer after reading this guide on how to add books to iPad. It's easy to add most of PDF e-books to your iPad. Install the free iBooks app from the App Store and download books. 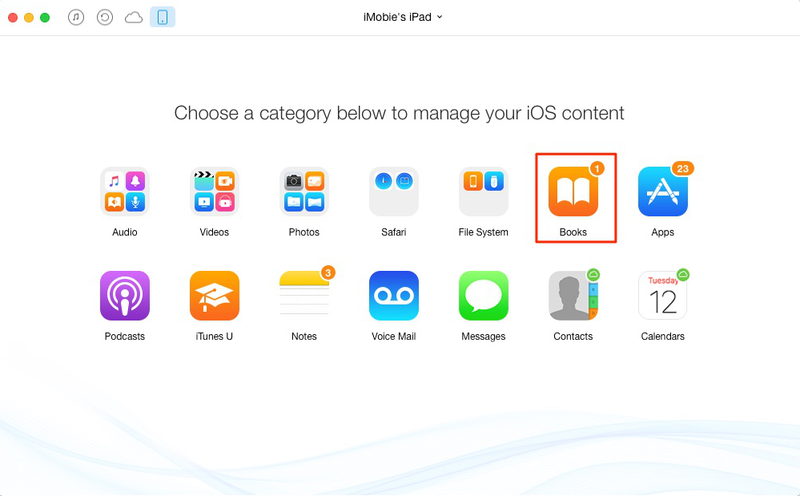 If you have stored some books on computer, do you know how to add them to your iPad? Read this quick tutorial to get a three-step solution. AnyTrans, is an all-around iOS files manager that is useful in backing up data, importing/exporting content, and bypassing traditional iTunes sync methods. When it comes to putting files from the computer to an iPad, you can add books (.epub, .pdf), audio, video files, photos to iDevice without iTunes. 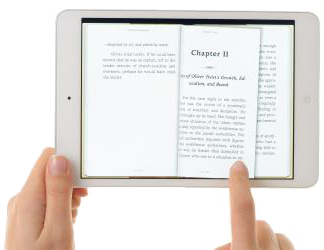 In addition, AnyTrans helps transfer books from between two iDevices directly. Moreover, it promises to transfer files between iPhones, iPods and PCs/Macs. Step 1. Download and install AnyTrans on your computer. Open it and connect your iPad to computer. Click on . Step 2. On the main page of AnyTrans, click on Books. Step 3. Click the "+" button on the right hand corner, browse the book you want to add, choose it and click Open to start transferring. Step 4. After the transmission is completed, click Send to Device button to send book to iPad. You can also import/export other files like music, videos, photos, contacts to/from your iPad with AnyTrans. Download it to manage your iPad better. For any questions you have on AnyTrans, please be free to contact us by email.